Gate cutters are essential hand tools for injection molders for trimming molded parts free from the gate. While there are many types of gate cutters available, Xuron Corporation’s Model 2175A Plastic Cutter is a cost effective, high quality option for injection molders. 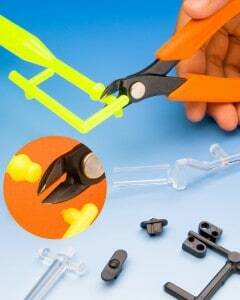 Xuron Corporation’s 9000 Series precision wire cutters provide durability, ergonomic design and excellent value. Offered with oval , tapered and extra-tapered head configurations, these cutters can be used for a wide variety of applications from trimming component lead wires to copper wire to telecommunications cables. 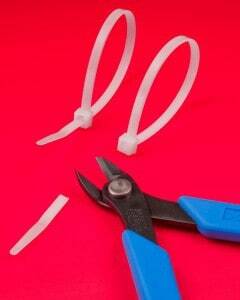 Whatever you call them, cable ties, tie wraps or zip ties, you want to cut them with a tool that will cut flush to the termination point and will leave a smooth cut surface. 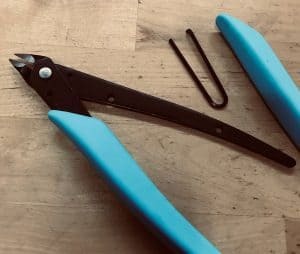 Xuron Corp.’s Model 2275 Cable Tie Cutter offers an excellent solution for cutting smaller plastic and/or nylon ties (up to 7 mm wide) used to bundle wire, cords and multiple other uses. 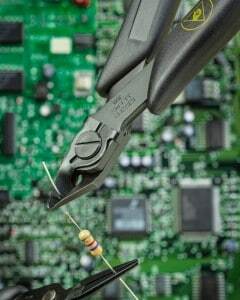 When trimming lead wires from printed circuit boards, the last thing you want is to have the cut-off wires flying back onto the PCB and potentially causing damage. 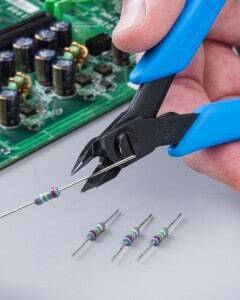 Solution — Xuron® MIcro-Shear® Flush Cutters with Lead Retainers. The Lead Retainer is a low profile metal “clip” that is installed during the manufacturing process.